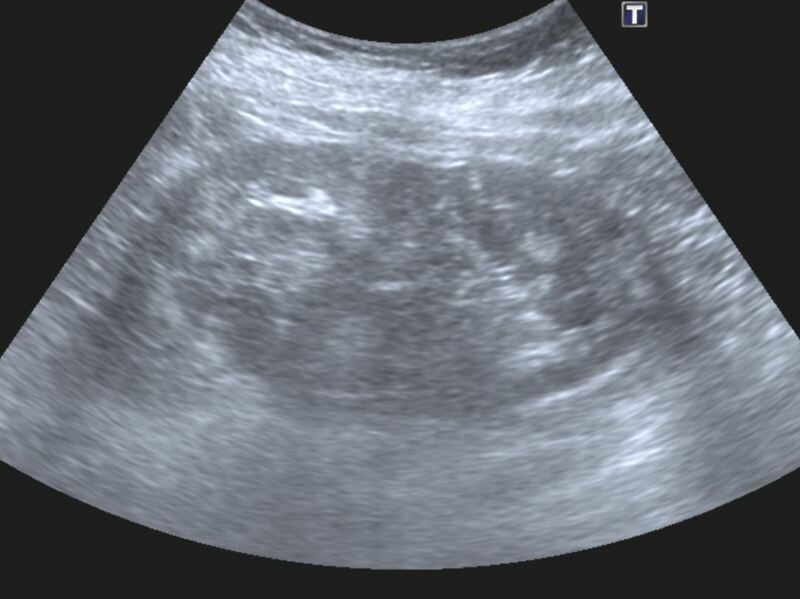 A 45 year old female patient was referred by her GP for a renal ultrasound to investigate hypertension resistant to drug treatment. She was otherwise in good health and had no previous medical history of note or relevant family history. 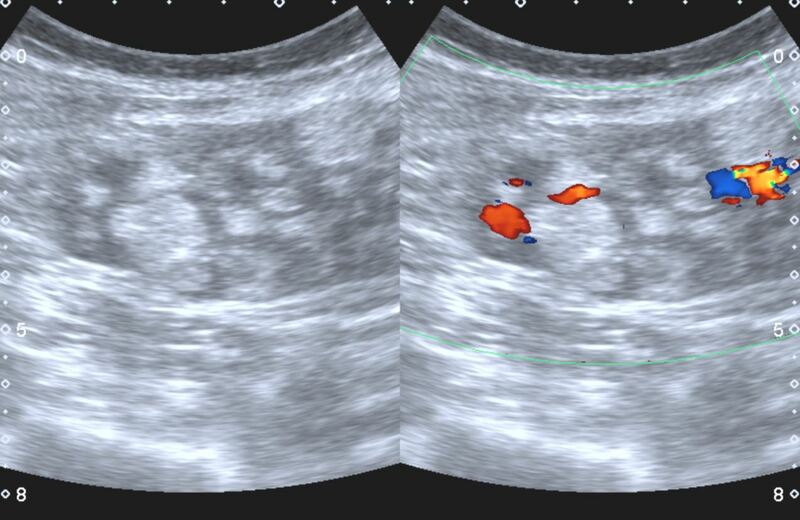 Representative ultrasound images of the kidneys are shown in Figures 1 and 2. Right Kidney. Split screen grey scale and colour Doppler longitudinal image. In view of the abnormal sonographic appearances of the kidneys a CT examination was performed, a representative image of the right kidney is shown in Figure 3. CT Image through the right kideny interpolar region without intravenous contrast medium administration. The CT examination also demonstrated an abnormal appearance of the lung bases shown in Figure 4. CT Image through the lung bases. What is the probable diagnosis based on the imaging findings?